I would never put public speaking on my “special skills” list, but over these past years I have been called to do just that more than a number of times. That being said, the experience that public speaking has taught me is how important of a skill it is to have. These past two years (coming up three in February) has been the most difficult and exhausting years both mentally, physically, and spirituality that I’ve had to endure. Many of you know that in February of 2015 I was diagnosed with CRPS/RSD a rare and non curable illness. But since being diagnosed I have seen and felt joy and heartbreak, laughter and sadness, But it’s also shown me how strong a person can be, how strong I can be when put to the test! When I was first diagnosed I did what everyone in my possession would do and that’s start thinking aboutlife with CRPS/RSD. I was so afraid that the pain I was feeling was going to be the only thing that I would ever know. I knew very little about what to expect but the worst part was not knowing exactly what caused it. The only thing that I knew was that I would be in extreme pain and that I would have to fight for the rest of my life. CRPS isn’t one of those diagnoses that can be found on say a C.A.T Scan or M.R.I. 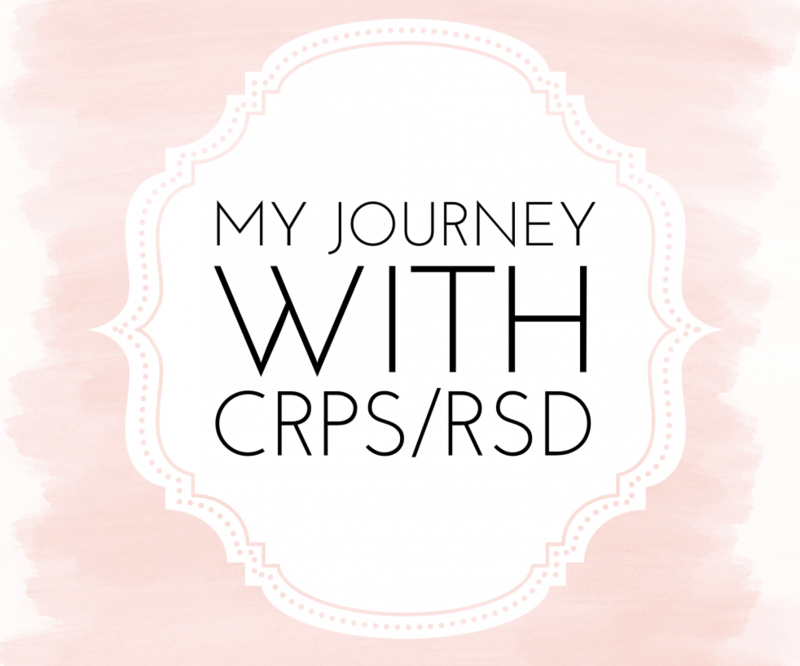 CRPS doesn’t show up on any Scans, so it’s hard to have an exact science when it comes to diagnosing. What If nothing worked. What If the treatments causes me more pain. What If the doctor doesn’t know that much about my illness and makes it worse? As I began to read more and more about mydiagnose, I feared that maybe the doctors didn’t diagnose me in time.I was an Athlete, I guess you could say that I was either born to play sports or it’s in my blood, for both my parents and their respectively twin sisters, We’re all athletes growing up and on my Mother’s side her Cousin Judy Hawk is the Mother to Ohio State and GreenBay Packers A.J Hawk. I’ve been an Athlete from the age of 3. I’ve been involved in various sports from Gymnastics to Volleyball, even Cheerleading, but my heart and passion was always with Gymnastics. So when I was told that I have CRPS/RSD I feared that I would never be able to do what I loved and sadly that fear came true in the end. I also worried about the disease spreading and that too sadly also came true. What I’ve learned over time since being diagnosed is that CRPS/RSD is one massive bundle of fears. The question is whether I’m going to allow the fear to take over my life or am I going to fight this fear and live know matter the outcome. I’ve gotten to experience several incredible things when I decided to share my story with the world I’ve learned to let go some of that fear and reach out to others in many different ways. I’ve been able to share my diagnosis with my blog followers. I’ve done podcasts for Physical Therapy Initiatives. Been honored to be featured on countless online magazines. I’ve done an article for Girls and Women in Health. I’ve had the opportunity to be featured in my Local Newspaper. And just recently I’ve had the joy to grace the magazine of Pain Pathways for their Fall 2017 Issue with John Tesh.